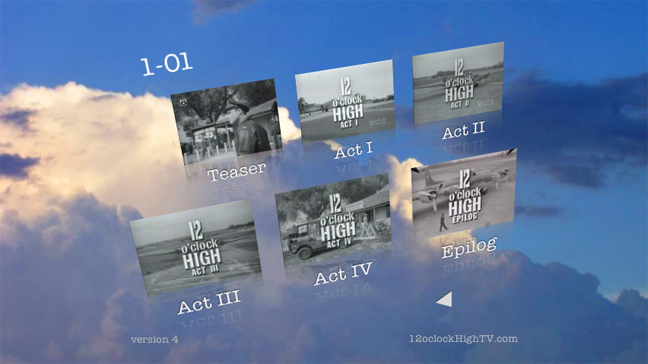 12 Oclock High the Emmy award winning TV Series. One of the best written, well acted TV shows of the 1960's. Dramatic, well- executed, it was years ahead of it's time and developed it's own mark away from the wildly popular 1949 academy award winning movie starring Gregory Peck. Get the entire series on DVD! Acts Screen from the new version 4! Menus in widescreen. New improved video, audio and animated menus promise to be a sight for 12 O'clock High TV series fans!